A garage parking mat lets you take better care of the flooring in your garage or shop. Most garages and shops will eventually begin to show wear and tear on all flooring areas. This can include stains from gas, oil, salt, antifreeze, and water. As well, corrosive materials can cause irreversible damage to flooring. Our garage mats help you reduce and eliminate this damage by protecting the flooring while your vehicle is parked and you’re working on it in your garage or shop. There are many benefits when you own a garage mat. You’ll find that your garage stays cleaner and looks better. You will spend less time cleaning up spills and leaks that occur when you are parking your vehicle or working on it. Fluid spills and leaks are all contained in one area due to the raised perimeter of the outside edge. The mats are light weight so you can transport them from one area to another for multiple uses. 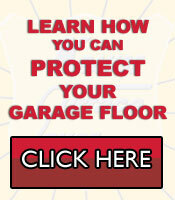 The garage floor protection mat requires no assembly or complicated instructions to use. The Krauss Surface Saver mat is a patented product that has been repeatedly tested since 1996. This mat will stand up to many years of use and comes with a six month warranty on workmanship. No matter what size of garage you have, or vehicle that you own, the garage matwill fit your needs. It is available in sizes 7.5′ x 19.5′, 7.5′ x 18′, and 7.5′ x 16′. The mat is made of a material that is a vinyl coated polyester weave. It has a U.V. coating for protection from the sun so that it can be used on your driveway as well as in your garage. Our garage floor protection mat is designed to bring you the latest in technology and design. This patented invention helps you minimize the amount of time you spend cleaning your garage or shop floor since you’ll no longer have to sweep or mop up spills and leaks. The Krauss Surface Saver mat is easy to maintain and keep clean with a broom, pump, wet vac, or the garden hose from your home. Garage Mat lets you protect your garage flooring when you use the Krauss Surface Saver mat. For more details about our garage parking mat, and how you can place your order, contact us today.